Anil is passionate about the translation of novel science into transforming medicines for cancer patients. He is the former Vice President of Early Oncology Development at AbbVie and Head of AbbVie- Redwood City site. During his tenure at AbbVie, he oversaw the global regulatory approvals of Empliciti in multiple myeloma and Zinbryta in multiple sclerosis. As a member of the R&D leadership team, he helped to build an impressive portfolio and key translational science capabilities in oncology, immunology and other diseases. 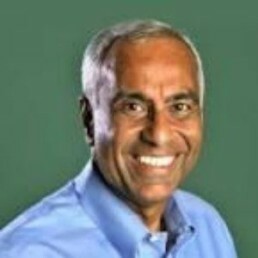 Anil has held senior roles in the US, Japanese and German biopharma / biotechnology industry for over 30 years. Prior to his industry tenure, he was Assistant Research Professor at Mount Sinai School of Medicine and concurrent with the industry role, Adjunct Associate Professor at University of Washington. He holds a PhD from Wakesman Institute of Rutgers University and an Executive MBA from University of Washington.